Not all gold rings are created equal. There is a vast difference in the various gold mixtures jewelers will use. You can think of it like a chef’s recipe for soup. The same dish may be available at other restaurants, but each restaurant will make the soup with slightly different ingredients which either enhance or take away from the taste of the soup. Ok, enough about soup! 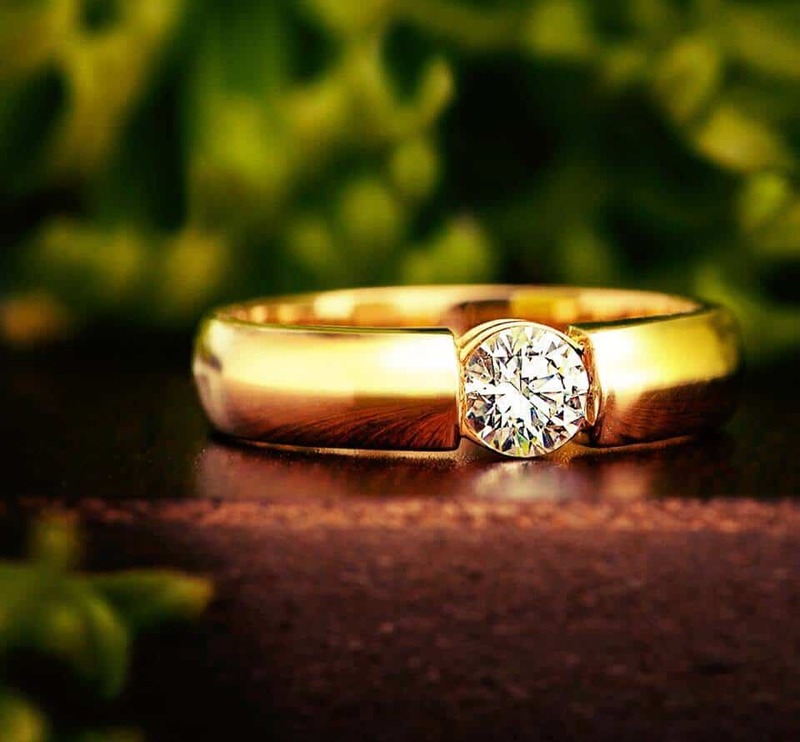 The point is, each gold caster or jewelry store will use different amounts of various metals to make up their 18KT white gold or 14KT white gold jewelry. Gold jewelry is generally stamped 10k, 14k 18k etc. All gold is stamped as a fraction over 24. Thus 10k is equal to 41% pure gold content (10/24=0.41), 14k is equal to 58% pure gold content and 18k is equal to 75% gold content. The question is, what are the jewelers using for the remainder of the metal piece? This is a very good question and hard to answer. Going back to the analogy of the soup, gold mixtures are a closely guarded secret and various casting houses are not always so forthright in their recipes. Many 10k and 14k white gold pieces will be heavy in nickel. The nickel is what will give the gold the appearance of being white when in actual fact, gold is yellow. This can be a problem as many people are allergic to nickel. They may get rashes or redness in locations where the jewelry touches their skin. We use a very interesting mix for our 18K white gold pieces in our custom engagement bands. Instead of adding nickel to the metal mixture, we add palladium. Palladium is a form of platinum. We use this alloy to form the majority of the rest of the gold mixture. We have found that this alloy is really the best of all worlds. It is allergy free, and holds a beautiful white shine and luster. 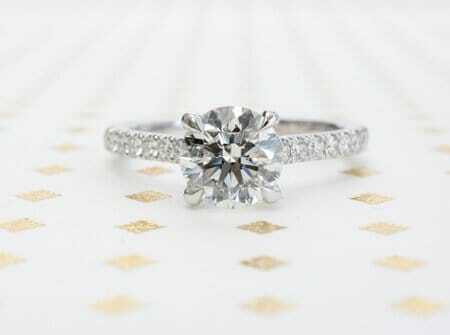 Meaning the jewelry will not yellow over time and will look brighter longer than traditional 14k white gold. The pricing difference, at least on our site, is not much when moving from 14K to 18K. We recommend spending a little more and buying the 18K mixture. As always, additional questions are welcome!